There are 4 tasks: 1- read and colour. 2- answer true or false. 3- rewrite the words given in alphabetical order- 4- write A or An. It's useful to revise general language, colours, prepositions, body parts and the articles. I hope you like it! The above downloadable printable is meant for elementary school students and students with special educational needs, learning difficulties, e.g. dyslexia at Elementary (A1) and Pre-intermediate (A2) level. It is valuable for revising Prepositions in English, and is excellent for strengthening your learners' Spelling, Reading and Writing skills. 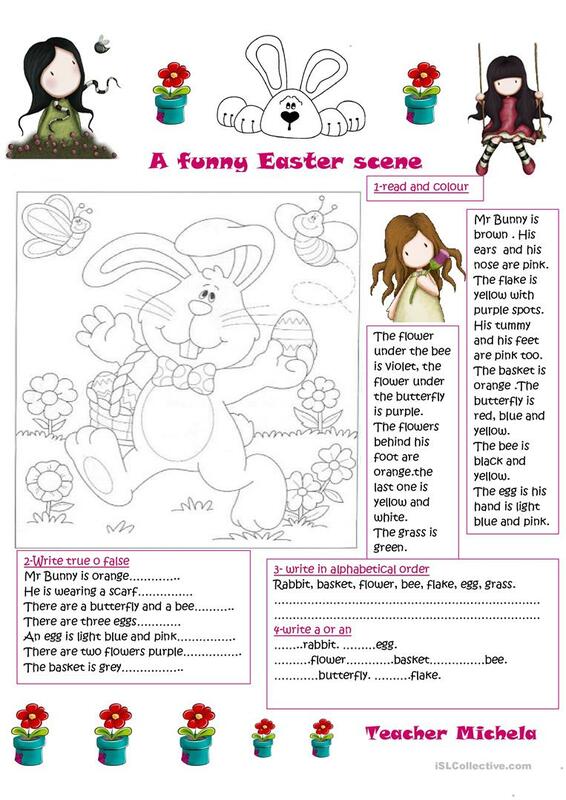 It focuses on the vocabulary topic of Easter.